The September 9th National Prison Strike is coming up! To learn more, check out the Support Prisoner Resistance site, in particular the zines Let the Crops Rot in the Fields by the Free Alabama Movement, End Prison Slavery with several articles about emerging prisoner movements, and Incarcerated Workers Take the Lead by Houston IWOC. 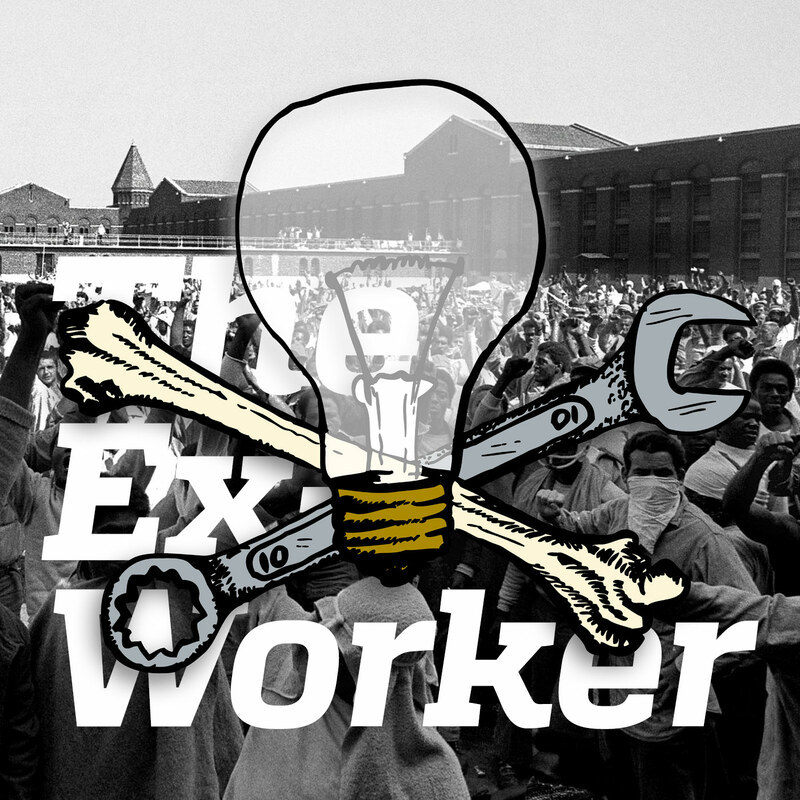 In our interview with Azzurra from the Incarcerated Workers Organizing Committee, she referred to several texts, campaigns, and other resources, including: the Houston IWOC zine about the history of prisoner rebellion since 2008, the Attica Rebellion, Black August, the Flikshop app for sending postcards to prisoners easily and cheaply, Chicano anarchist political prisoner Xinachtli Alvaro Luna Hernandez and his Twitter account, Mumia Abu Jamal’s struggle for Hepatits C treatment, Rashid Johnson’s article “On the Questions of Race and Racism: Revolutionary National Liberation and Building the United Front Against Imperialism”, checking the IWOC website for ongoing updates, Jeremy’s Hammond’s recent trip to solitary confinement for “encouraging rebellion and criminal activities,” and criminologist Nils Christie’s article Conflicts as Property about how the state has appropriated our conflicts. On the Chopping Block, we reviewed Dan Berger’s book Captive Nation: Black Prison Organizing in the Civil Rights Era. It discusses, among many other things, the life, death, and legacy of George Jackson, whose books Soledad Brother and Blood in My Eye can be read in full online. We interviewed Jon Active from Active Distribution in the UK about the Brexit vote. If you want to read more anarchist perspectives on it, check out these articles: “Building an anti-fascist culture post-Brexit” by some folks from the Anti-Raids Network, “On the tragic and the farcical of the British referendum” by the Void Network, and anarchist reflections on Brexit on Reddit. Please support Kara Wild, a trans anarchist from the US imprisoned in France in connection with recent militant protests in Paris. Here’s a video of her in her former dwelling that she built and squatted in in Chicago. We’ll post more updates on how to direct support her way as soon as we get them. We also referenced some other queer and/or trans prisoner solidarity links, including Black and Pink, the Trans Prisoner Day of Action and Solidarity, and a publication focusing on the writings of incarcerated women and trans and gender variant prisoners called Unstoppable. And if you’re feeling down, just remember that in Phenix City, Alabama, an unnamed Taco Bell employee refused to serve four cops who came in to order food - because they were cops. That’s what we mean by Fight where you stand!